I confess. Creativity and I have had a long and topsy turvy love affair. The kind you love to hate. No matter how vehemently I swear I’m over him, that I can’t take anymore of the frustrating ups and downs of never knowing if I’ll get the climax of fulfilment I crave from him, I keep running back, drunk on the possibilities. On what if’s. On the promise of beauty that, tease as it might, eventually rewards the brave and relinquishes it’s sweet release of a successful piece of work. That’s when I know I’m right where I”m supposed to be and I’m a better person for hanging on. For pursuing the devil of my muse. But this struggle, upon further examination, has other gifts that I’ve been benefiting from without realizing. 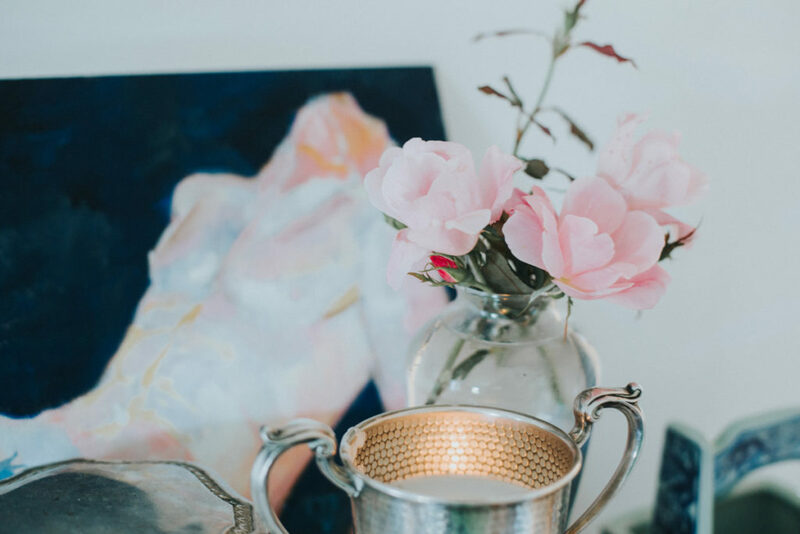 As a personal authenticity and self-love advocate, I’m constantly on the lookout for ways that I can help myself and my clients to become more of who they really are and to use these discoveries to create a happy life they love, inside and out. Methods that are exploratory and satisfying, not clinical and impersonal. That celebrate the soul. Creative expression has proved to be a powerful tool in these efforts. The concept of creative expression typically produces one of two, visceral reactions in most people. In one, you see it as a key component of your actual identity (I’m a painter, writer, artist) or you have a huge appreciation for it and wish you could produce at the level of the artists you admire. Art in it’s many forms takes up a huge part of your life. Creativity is about connection, whether to ourselves and our beliefs, or to others and our interactions with the world. No matter which camp you subscribe to, experts in the field of creativity are starting to recognize its importance and influence in the quality of happiness we experience on a daily basis. Creativity is about connection, whether to ourselves and our beliefs, or to others and our interactions with the world. This is something everyone, the creative or anti-creative, can stand to benefit from by exploring. Our knowledge and implementation of our personal authenticity and Self-Love. Having clarity on these two state of beings is the backbone for knowing what you want and allowing yourself the permission to pursue them. This in turn drives our success whether it be in business, personal relationships or simply living a life full of meaning. Creativity can be an effective tool for developing all three areas. In this article, the first in a three part series, we’ll focus on how using creativity can help us know and develop our authenticity. We’ll discuss Self-Love and Success in the next two articles, individually. Anxiety as a lifestyle in our modern lives is all too common. When actively pursuing an authentic, intentional life, anxiety can block our progress and can create obstacles where perhaps there were none before. Creative expression has been scientifically proven to help relieve anxiety. One way it does this is by giving our mind something else to focus on. It allows our subconscious a chance to express itself without the pressure of having to formulate words or whole, logical ideas, thus having a calming effect that allows more energy and brainpower to be available to pursue the creation of our authentic lifestyles. Also, improved mood can increase our motivation and enjoyment in the journey and implementation of our learnings and findings. Unfortunately, we can’t press pause on real life until we find the answers were looking for, so any help in making everything run smoother is A-OK in my book! In the context of using creative pursuits, by yourself or others, to develop personal authenticity, mindsets, perspectives and thought patterns are the key ideas. Think of exploring creativity as an information gathering exercise. Authenticity means we’re being true to who we are at a core level. Discovering what this is can sometimes be a long process, especially when we’re bombarded by the media’s idea of what we’re “supposed” to be. We need to get to a place where we allow ourselves the permission to think outside of that “should be” box. Personal creative expression helps with this because when we tap into ourselves at that level, we get in the practice of tuning into ourselves without outside noise. The process of creating is a very intimate activity. We allow new ideas and emotions to flow without censoring them as they surface. Becoming aware of these gives us information to sit with and process. To explore. To fall in love with and implement. Authenticity means we’re being true to who we are at a core level. Next time you sit down to write, paint, dance, or whatever you’ve chosen as your creative outlet, after you’re finished, journal about your session. Write down how you felt, thoughts that were running through your mind. Become keenly aware of what this creative experience was like for you and see if this connects into any other areas of your life that you’ve been searching for clarity in. You might be surprised at the answers you get. Exposing yourself to creative works done by other people, can bring up ideas that you may not have thought about previously. As stated above, pursuing creativity as a tool to develop authenticity is all about perspectives, open mindedness and paradigm shifts. You can start to ask yourself if you can identify with the ideas expressed. If yes, then why? If no, why not? How do these ideas fit into your view of the world? What would make more sense for you? What emotions get stirred up? What connections was the artist reaching out for? How would you do it differently and why? Doing this, we’ll start to create an expanded dialogue with ourselves and the world that will aid us in wrapping our minds around what is, what could be, what we truly want and who we want to share it with. A huge block that can come up when pursuing creativity is the paralyzing need to be perfect at what we produce and that it isn’t “good enough”. Perfectionism is a symptom of inauthenticity and comparison is a sign that we’re not digging deeply enough into what we truly want, need and believe. That were still letting others dictate to us what we “should” be. Authenticity, by definition, shows up differently for everyone. Practicing healthy perspectives when it comes to creative expression such as writing a short story or painting a picture in the privacy of our self-exploration can help us to get in the habit of ridding ourselves of the need to perfect and compare. If we can practice acceptance in this area, we create thinking patterns that will translate into bigger areas of our lives and give us the courage to apply acceptance in bigger and more important areas. Who knows…you may end up seeing beauty in things and yourself where you didn’t before and honestly, that’s our goal. We want to expand our perspectives and to allow ourselves the self-love we deserve. More on this in part two! Looking at creativity and creative expression in this philosophical manor may or may not be a new idea for you. But if we can train our minds to start to use and explore everyday ideas in the context of how we relate to them and how they relate to us, we can start to create a habit that will serve us well on our path to creating an authentic meaningful life. Who knows what unexpected beauty we’ll find along the way and the new possibilities it will open up for us! 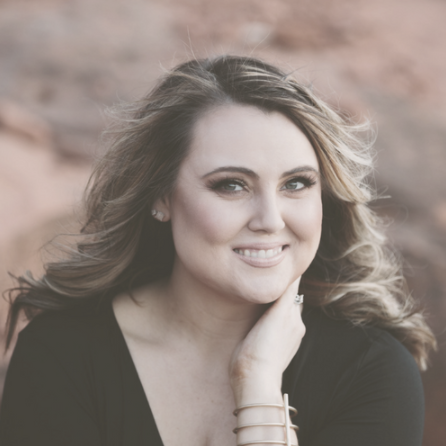 Alyssa Féy is an Authenticity and Self-Love Advocate who supports women in discovering more of who they really are and how they can use it to create a wildly successful and fulfilling life inside and out. She lives with her husband and 3 fur babies, Koa, Stassi and Hemingway, near Washington D.C., USA. Connect with her on Instagram, @AlyssaFey_Coaching or on her Facebook Page. If you’d love to dive deeper into getting clear and creating happy in your life, email her directly at Alyssa@AlyssaFey.com.